Bob was at his best. THE ULTIMATE IN DEUTTING. HAVE A LOOK AT THIS. THE GENIUS WHO IS BOBBY MCFERRIN WITH THE CHICK COREA BAND IN GERMANY. The way these two interact has to be heard to be believed. Corea changes the key and McFerrin the genius follows. Not only that, I've never heard a double bass solo like the one here. That is a terrible instrument to play fast but this guy does it. Last night's workshop. Yes, have to say - Bob laid down some very interesting patterns last night on the kit. Good exchanges, good solos. Great, Bob. Mike Pappenheim came back for an evening and it was a joy to welcome him. I hope we did not do any damage - the problem has now spread to his wrist. He had a tough challenge, because we picked some songs which are hard - Stella by Starlight, Scrabble from the Apple (who gave it that stupid name?) and Have you Met Miss Jones?. He swept through all the changes. NEXT SUNDAY Dave will be back. Can we build in some quotes to our solos? There's a challenge. Geoff was doing a bit of this last night as well. Let's keep trying out difficult songs. Maybe we can start with repeating Stella by Starlight and Scrabble from the Apple. We will not do all of these so some we will carry over to the following week. At 6.00 until 7.00 we have the band coming in to do Sidewinder. Incidentally, band, if we are to do all the Interplay songs on April 25th at Fishbourne, then we only have he following dates available for rehearsal 6th, 13th 20th. We need one of those nights for the vocalists. Shall we come in for each of these 3 weeks at 6.00 then we will get through the programme. What do you think Andrew and everyone? Maybe the 20th will need 2 hours. We are still looking for front line players. Have a look at Kenny Barron playing Have you met Miss Jones. I think the tricky bit is the middle section. As I listen to jazz pianists I am struck by the way they change the background sounds with different chord voicings, particularly in the upper structures for the right hand. Barron does it a lot. We will try out some of the more difficult jazz songs next Sunday. Geoff is going to produce charts for these and a few others, Stella by Starlight and Have you met Miss Jones. I haven't played either. Maybe a couple of Charlie Parker songs. Don't know what we'd do if we didn't have Geoff to help. I've given up practising jazz piano, and I feel bad about it. A bit ashamed really. Don't know why. Just don't feel like doing it. Two years ago I spent 9 months practising quite hard in different ways, and it worked. It worked well. There used to be a time in the workshops where I didn't want to solo on the more difficult songs, but that is not a problem now. And, sometimes, I sound ok, even I can tell that. I play in the workshop each week, and use weasel thoughts to imagine this is practise. But it does not have the intensity or application of proper practise. I've hit the glass ceiling and will not get any better unless I try. So I had a look at sports psychology on the internet and thought a summary would be useful. Motivation is the key and the biggest problem is what the psychologists call "amotivation" This is where there is no drive to do it. An amotivated athlete might be heard saying, ‘I can’t see the point in training any more – it just tires me out’ or ‘I just don’t get any buzz out of competition whatsoever’. That's me. This often needs an outsider to help such as other players, or a good coach. I need Geoff or Andrew to tell me off. For others, playing in a new band or with different people might be a help. Or finding a coach. Repeating mundane drills would be a killer for me, but for others it might be a useful re-starter process. Maybe I could be helped by trying something very hard indeed. For example, I could try to play a difficult piece very fast perhaps. They say the ultimate in motivation is to achieve "flow". That is complete immersion in an activity. You can't hear, see, or experience anything else. The aim and the task must be realistic. I know about the groove, often called the zone. Once you are in the groove nothing else matters. Yup, important for jazz. You can tell when a soloist is in the groove. Even the whole band. We've hit it a couple of times recently in the workshops. Pointless expecting to get better if I just keep playing what I can play already. I'll need to pick a few short term goals, say "within the next week I'm going to work on...." Even a daily goal, "By to-night I'm going to have completed....." Set it up on a spread sheet perhaps. This is the spreadsheet I was using when I was practising. The x's do not represent success, they just tell me whether I tried what I intended to do. I tried them over different songs. SHORT INTENSIVE PERIODS OF PRACTISE. I've always believed in the studies from education which show that students remember the beginning of the lesson and the end of the lesson. The middle bits are forgettable. Maybe I'll break up the practise into short sessions. Nothing wrong with doing 15 minutes early morning, 15 minutes at tea time, and 15 minutes before bed. I ought to set up a routine whereby I can copy what I'm practising on to the laptop then replay it. I might be proud of myself. Sometimes. Or not. We need a couple more players in the front line. Know anyone? THE GLASS CEILING IN JAZZ. HAVE YOU HIT IT YET? This is one of the world's leading jazz educators, Jerry Bergonzi, talking about teaching advanced pupils. You hit the glass ceiling when you know you are not going to get any better. All professionals in any sport or artistic endeavour know of it. We know how you've got where you are. Thousands of hours of work were needed to get where you are. (Yes, count them up. 1 hour a day is 1,000 in only three years) Through drive and initiative you've worked so hard for it. You've done everything to hit this peak. You don't really want to, you'd rather rest on your laurels and have fun. You've hit a physical barrier, which stops you. You've found another interest to absorb you. You can't see the point of trying to be better. You may be struggling just to keep where you are. Time, not enough of it. There is nothing wrong with any of these, nothing at all. You deserve a break. It is true that few people will notice a small improvement in your playing - only you. WHEN DO YOU KNOW YOU'VE HIT THE CEILING. Simple.When you find your playing is repetitious, doing the same old same old, using familiar licks, not enough mistakes. Yes, not enough mistakes. I'm in Scotland at the moment. 15 years ago when we came here I brought a small keyboard to practise on every night. Haven't done that in years. Enthusiasm dimmed. I'm guilty too. What do you think? Worth a review of where you are, perhaps? We need a coupler more players. Front line. WYNTON MARSALIS TALKING TRUMPET. NICE IDEAS. Geoff I put this up for you. You'll love it. Andrew, when we come to rehearse again, can we put different moods on the exchanges? He is from the most amazing jazz family. Within the siblings there is a top trombonist, top drummer, top saxophone player, top trumpeter all world class. I visited New Orleans once and was disappointed to find little other than trad jazz. However I did find this one modern jazz club, and who should be playing but a quartet led by his father Ellis Marsalis who is a music professor at the Uni, and Jason, the youngster as he then was. on the kit. Brilliant, as you can imagine. In my playing notes I've added this line. Harmony: Echo melody stabs tenor, gtr, kit, twice in A section and follow the descending line in the bridge. Lets do it again, melody in Bm this time, solos in Am. Try playing at 220 just for fun. Journey Home. Let us emphasise the variations on the chords. Chameleon. Greensleeves. Do again with 1 swing solo and 1 funky solo. Bring these songs for the workshop too. and LIKE our jazz workshop page as well. THANK YOU ALAN BROADBENT FOR JOURNEY HOME. 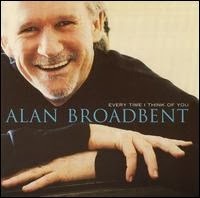 I heard this lovely song on a CD called Round Midnight by the New Zealand jazz pianist, Alan Broadbent. It is called Journey Home. He is famous where jazz people gather, and a Double Grammy Award Winner to boot. Played with many of the greats, arranged music for them, and led their bands. That takes some doing starting from a little country like New Zealand. It is wonderful there, relaxed, easy life style, people are great. People there live for the weekends. My 2nd favourite country after Scotland. I asked his website where I could buy a chart for the Workshop. This lovely chap replied himself and gave me a .pdf we could use free. Geoff did copies in Bb and Eb for us. We'll do it to-morrow. I can personally identify with this song. I bet I know how he came to write it. THE FOLLOWING IS A GUESS. THE BEST SONGS ARE BASED ON PERSONAL EXPERIENCE. Like him, I used to do six week tours of the USA or Australia and New Zealand leading seminars. It was terrific fun, but at the end, when the job was done, the people had laughed in the right places, you were glad to get home. All that last day you looked forward to the evening flight. "To-morrow I'll be there," you said. "Thank Heaven." This song is absolutely perfect to describe that feeling. I bet he wrote it on an Air New Zealand flight, non-stop from either Houston or LA. That is about 13 hours. I'm going to ask him. Is that anywhere near right Alan? And thank you again. ps. Alan, could the band play it in the Festival of Chichester in June please? With due credits to you and the CD of course. We can do with another front line player. The guys are pretty good, though. There are about 10 of us each week. I don't care if it sounds odd coming from a man, but I tell you. These folks we have in the workshop played a blinder last night. Absolutely brilliant. Tremendous fun. And each one of them is so modest, so retiring about their ability. Others would shout it from the rooftops. I'm very pleased to be able to call them friends. We really did do well last night. Performance standard. Read about what we did and what we learnt below. Just about everything we tried worked - bar one. TWO VERSIONS OF SUNNY. SEE WHAT YOU THINK. This music is really emotional. Beautiful song, beautifully played. Listen to the guitar player on the track of Sunny. Sparing, open. Quiet gentle song, you can imagine a sunny day, lazing by the river. Then Herbie Mann picks it up, at the last coda he goes into staccato and the piano copies. Lets do Sunny next week. Feed and response 2 bars, worked very well indeed. Try longer bars. Dave on Guitar played echos of the solos. Sounded nice. He also used some displaced patterns in a solo. We all played solos using triplets, with Bob on drums echoing. Yes, got a winner here. Must do more of. Vic on bass played on the 1 then broke time, mixing with a walking line. This added interest. This one did not work, but we can try it again. We played a tune out of time, rhythm section sparing, kit using brushes on symbols. Just to create an atmosphere. Geoff played a coda on the song key. Chris kept up with everything - at a huge disadvantage because we all knew the songs. Heroic. I think that we ought to do something in practise, and in the workshop that we don't do very well, if at all. IN our solos we don't play the tune, or extract from it. Dave could you shadow the tunes as the front line play them, whether from ear or by reading? Vic could you try using a bit of the tune in your solos? It means we have to concentrate on the dots. GEOFF, CHRIS AND ANDREW, DARE I ASK? Displace patterns. Playing an improvised motif, figure, whatever you call it, then repeat and displace it. I'm not talking about playing a standard riff over a 11 V 1 and doing it in every key. I'm talking about using an improvised phrase over and over. It is not difficult to do. Could I ask you three guys just to try it out please? PLEASE DON'T THINK I'M TRYING TO TELL ANYONE HOW TO PLAY. THAT IS NOT MY JOB. But it could be my job to make sure that everyone tries things out and is as well rounded as possible. Do you think so? The girls, Maria and Nettie are coming in at 6.00 for a rehearsal. We might change this song list if the girls stay on. We'll play their songs. Andrew, do you fancy coming? We could do with another front line player, if you know of them. There are about 7 of us each week.